Resistors as prizes would be nice. You know to match the series we are in now! Are the lights on and nobodies home? Come on use your heads. Oh my the refit time. Even if I don't use the lower cannon mount at 22hr refit time per ship the other specials ( Nuc Acc 3 and CL-4 ) I will likely need to use and like mentioned above are a 16 day refit for 5 ships. Just firmed up my decision on what to do with the sub option ( to be punny I've torpedo'd them). I have other ships I need shipyard time for. I can't argue you are giving me options ... may not really like them much but I have to admit they are options. Are you sure? They are no labelled as Conq/Def only. 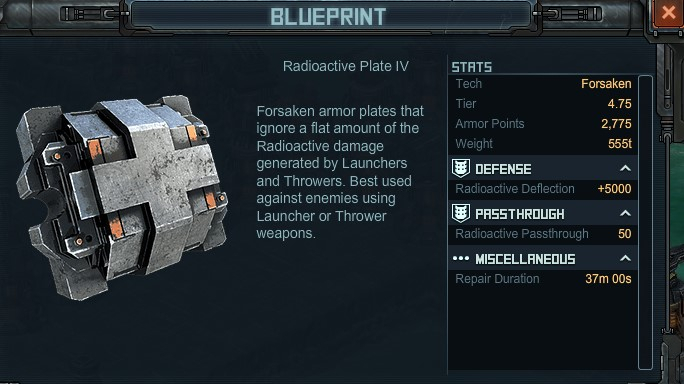 Plate 4 is not either: And the ship designer let you put it on non defender/Conquerer hull. This is due to deflection being last in the chain - ie 100000 damage vs 99% resistance equals 1000 damage if deflection is above 1000 there should be no damage to hull except any "pass through" or "over damage", if deflection is 800 then you take 200 damage etc. Can we get MoD / CM comment on this? MINUS 40% on speed for Lowered Cannon Mount 2 makes that a NO for buying that joke. Reduced Ballistic range also. depends how you play, I had to sit and wait for the turrets to die on the 100s and 102 so if I kept moving the 40% reduction in speed would be a worthwhile expense for +35% defence. However if the reduction in ballistic range means I'm now getting smacked by those cannon turrets.... well that's a different story. I think Eradicator is meant to be played as a smash and grab hull, the Lowered Cannon mount fits that, it will sail continously although slightly slow and smash everything as it goes. Accuracy is useless in Siege targets. They took it off because it's not doing anything, so what would be the point? Apples and oranges. Is the hunter hunting buildings? Of course he needs accuracy, his prey runs. Your comparison is only actually useful in ship v ship, where accuracy is important. And regarding AoE weapons not caring about accuracy either, that's how every other game does it too. A while back when the FM jumped to over 10 mil for a week, we were told that it was front-loading prizes at the beginning of the month, but could be divided up weekly and wouldn't be that much of a change. Now with limited items being a must-have, we have to spend weeks collecting things. Miss out on things and a fleet can't be balanced. Now things are limited vs. regular prints, so we didn't really get what they claimed to have offered. On top of that, the point totals have ballooned to over 25 million now. Really disappointing and so overwhelming I rarely even try now. It feels like the difference between asking someone to run a marathon instead of a couple miles. Just way too much even if we ignored the lack of candor. What is the story with the 82's and 89's? Where are they? Week 2 of FM and Tier 5 content price comes in at 30.8 mil, that is 2.5 mil more than week 1 - not taking into consideration the lower tiers. Assume week 3 will be the same so this little run of FM will be about 100 mil requirement just to keep up to date. FM is all about catch up for the lower ranked pirates, or that is how it was originally sold, try doing that will a part built set of dragons or lesser fleet and with only partial rank. Take that if you think kix is trying to help you get into or get back into the game! Is a let down for sure when questions being raised & not replied to or addressed in a prompt manner. 80's in this week's FM ..will they spawn soon? the daily has not been made available since start of the vxp raid...when will they return...never, soon(could be never), maybe or maybe not..
CM Chris doesn't do his job following forums and giving us updates. Some players can't do FM cause 82s and 89s are missing. They 82s were taken off cause of a problem. But no mention of the problem and why 89s are not spawning. Reaver Tide Daily Daily TLC has been gone for about 6 months now and the other Daily TLC have been screwed up. But Yet since they added Discord for better communication the forget to come here and communicate. They NEED to FIND SOMEBODY WHO KNOWS HOW TO DO THEIR JOBS!! World of Warships it is. Where did the 82s go? I was rthinking of the other thing. My bad. Every target are glitche right now. wow go to hit target next to my fleet, fleet then gose off screen to hit a different target by E relay target I picked was near W relay by me. Tried again this time it shot off to attack a base nowhere near original target, luckily I stopped the attack. what the hell are you drinking KIX, we are not millionaires ! why not give some stuff away . you take stuff away from us and want gold for everything we use to get by working for it. you going to loss more people in the game ....keep it up and go broke.